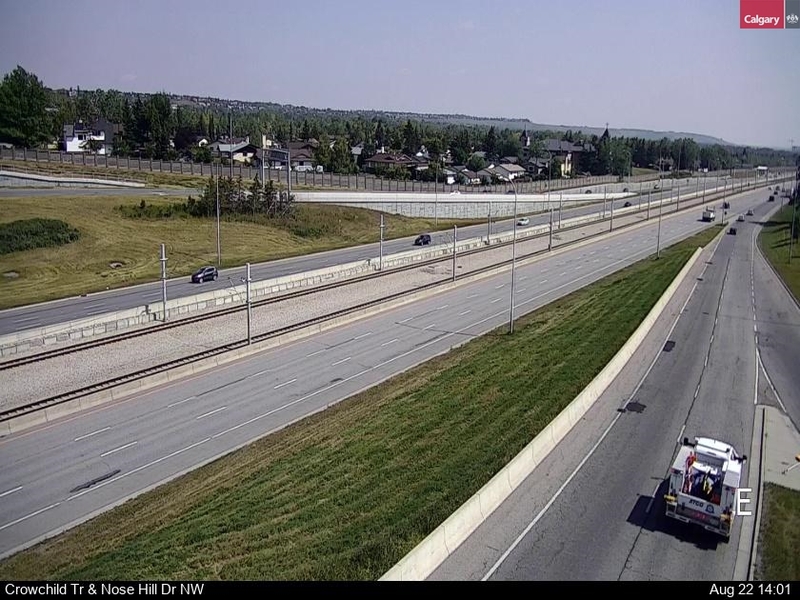 Watch for double lane closures along SOUTHBOUND Crowchild Trail. Intermittent closures of the eastbound Memorial Drive/Parkdale Boulevard ramp onto southbound Crowchild Trail. 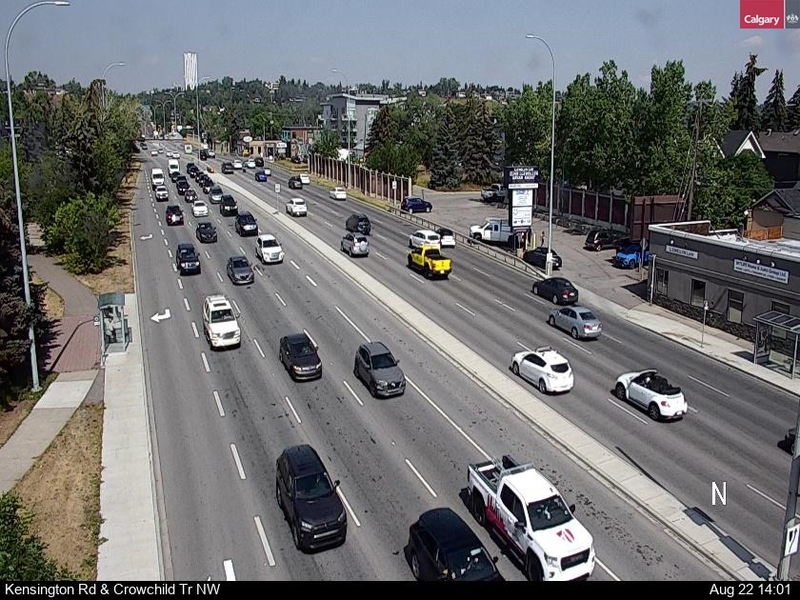 Watch for double lane closures along NORTHBOUND Crowchild Trail. Intermittent closures of northbound 10 Avenue S.W. (Including a full closure of the 10 Ave. S.W. 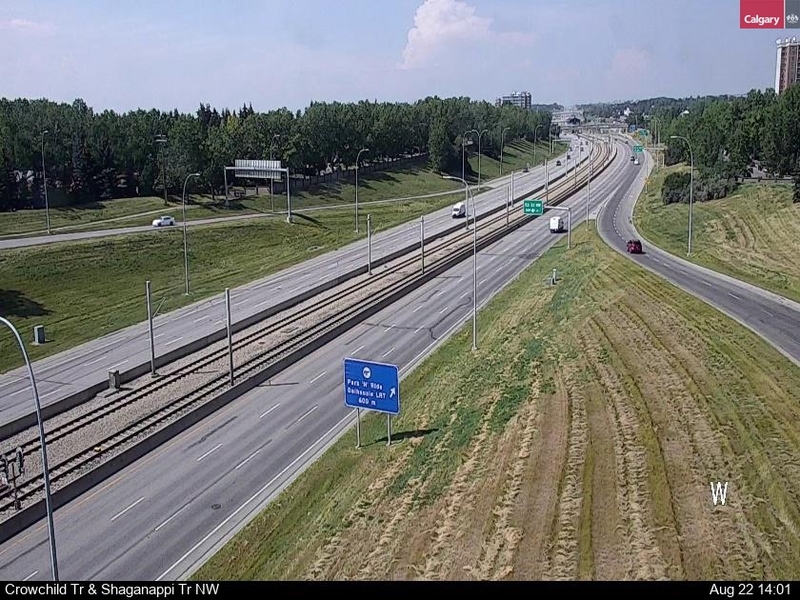 to northbound Crowchild Trail ramp). Watch for a single lane closure on eastbound Memorial Drive/Parkdale Boulevard. Watch for a single lane closure on eastbound Bow Trail. A portion of the westbound 10th Ave to northbound Crowchild Trail left-hand turn lane will be CLOSED. You will need to go around the closure, but ramp access will remain OPEN. The westbound 10th Ave right-hand lane will be CLOSED. 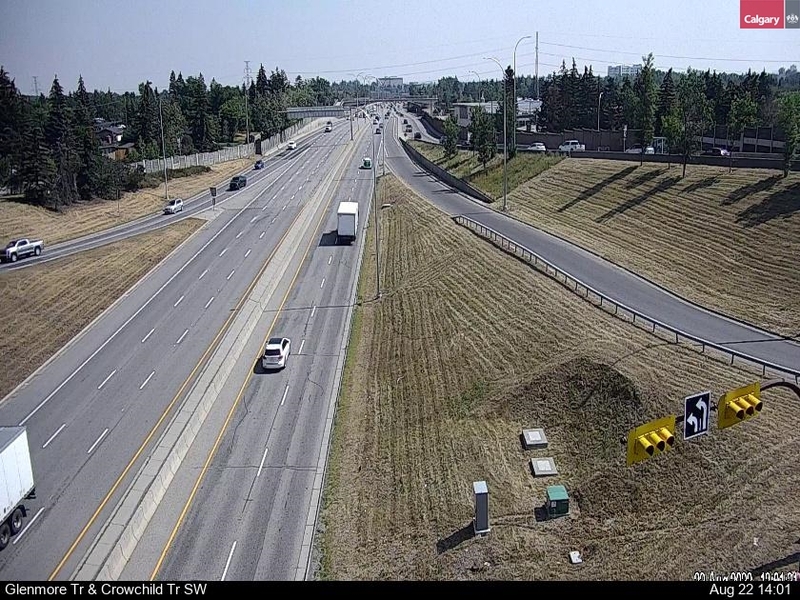 Westbound 10th Ave and access to the northbound Crowchild Trail ramp will remain OPEN. The 10th Ave/12th Ave ramp off Southbound Crowchild Trail will be CLOSED. 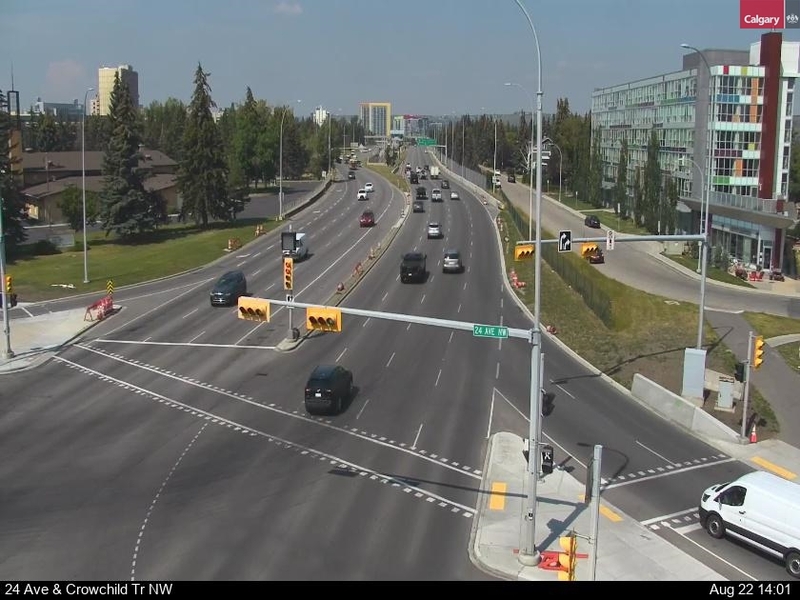 The westbound 10th Ave to westbound Bow Trail turning lane will be CLOSED. Eastbound 10th Ave will be CLOSED at the intersection of Bow Trail with NO THROUGH TRAFFIC. 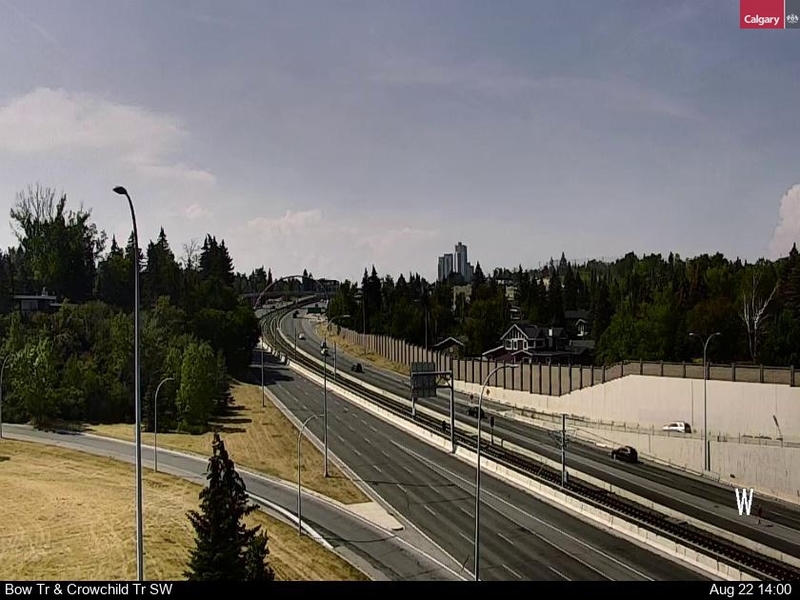 If travelling eastbound 10th Ave to northbound Crowchild Trail, you will need to follow the westbound Bow Trail to eastbound Bow Trail detour to access 10th Ave east of the intersection and the 10th Ave turnaround. While we make every effort to avoid impacts to trees, this March you'll notice some tree removals take place. Rest assured that replacement trees are being planted and in fact, by the time this project has been completed of the 129 trees that will have had to be removed, 338 will have been replanted as part of our compensation and restoration plan. 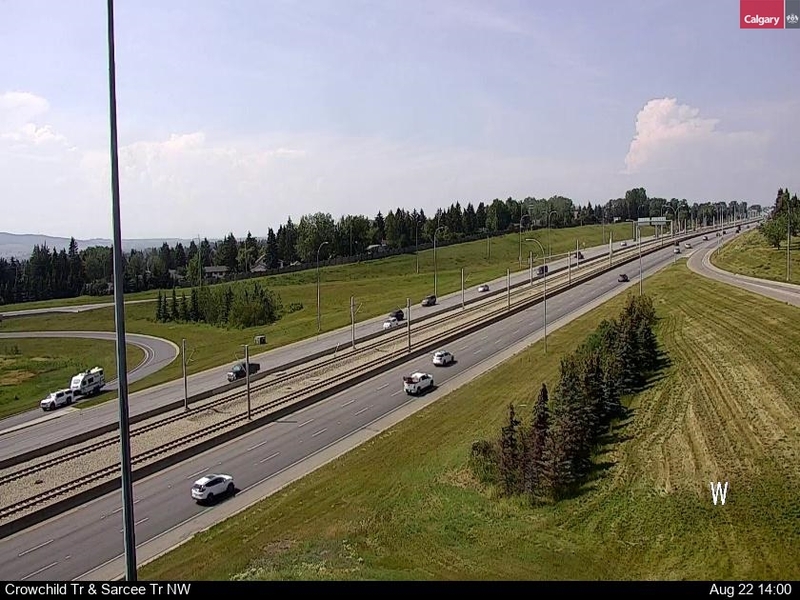 Lane shifts, re-alignments and new traffic patterns along northbound and southbound Crowchild Trail (between Bow Trail and the river [including over 10 Avenue S.W.]). Intermittent lane closures and traffic shifts along Bow Trail, Memorial Drive, Kensington Road, and 5 Avenue N.W. Overnight work (including paving and concrete demolition) between the hours of 9 p.m. - 5 a.m.
Lane and ramp closures, detours, protruding manholes, uneven road surfaces, and flaggers/police officers on-site directing traffic. A high volume of workers on-site. Intermittent walking and cycling detours. Temporary transit detours and stop relocations. The 10 Avenue S.W. detour. Business access via westbound 10 Avenue S.W. Here's what the short-term upgrades mean for Crowchild Trail, as approved in the Crowchild Trail Study. Reduced (and enforced) speed limits. Over 100 workers on-site at any given time - please slow down! Narrowed traffic lanes to make space for crews. Occasional ramp closures along Crowchild Trail will go into effect weekdays between 9 p.m. - 5 a.m.; road signs will reflect these accordingly. The building of road and pathway detours where required, to ensure people can still access their destinations. The removal of trees where necessary, replanting, and landscape replenishments as part of this project. The building of noise walls in select locations (community engagement took place earlier this year). We are committed to keeping business accesses open throughout construction. Please note that some business accesses have been modified slightly; these changes have been reflected accordingly via on-site signage. East of Crowchild Trail: 14 Street N.W. North of the Bow River: Memorial Drive/Parkdale Boulevard, 16 Avenue N.W. We've got some major traffic shifts coming this summer. That means the construction zone will look completely different than what you're currently used to, and we'll actually have work zones in the middle of the road. We will give you plenty of notice, so stay tuned! There are over 1,000 barriers set up in the Crowchild Trail construction zone to help protect people working and driving through the area. That's equivalent to 3km worth of barriers! Sign up for email updates to receive news and notices related to construction. Connect with the project team. Call 311 if you or someone you know does not have Internet access. Crowchild Tr. N.W. / Nosehill Dr. N.W. Crowchild Tr. N.W. / Shaganappi Tr. N.W. 24 Ave. N.W. / Crowchild Tr. N.W. Kensington Rd. N.W. / Crowchild Tr. N.W. Bow Tr. S.W. / Crowchild Tr. S.W. Crowchild Tr. S.W./ Sarcee Tr. S.W. Glenmore Tr. S.W. / Crowchild Tr. S.W.